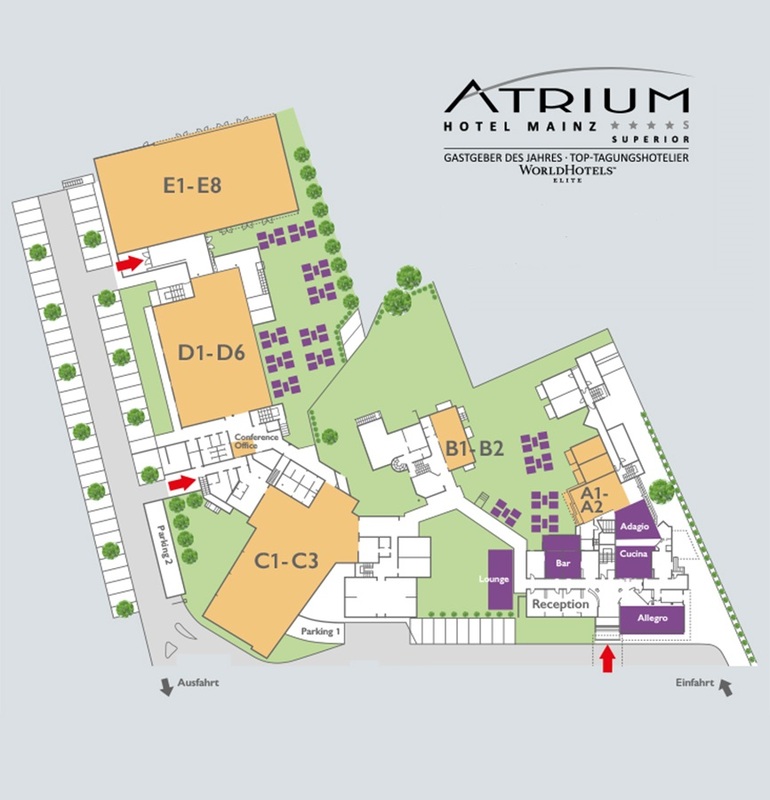 Employ­ees at the Atrium Hotel Mainz feel close to nature and are com­mit­ted to your suc­cess. The hotel is located in a quiet area on the out­skirts of Mainz-​​Finthen, at the edge of Rheinhessen’s orchards and fields. 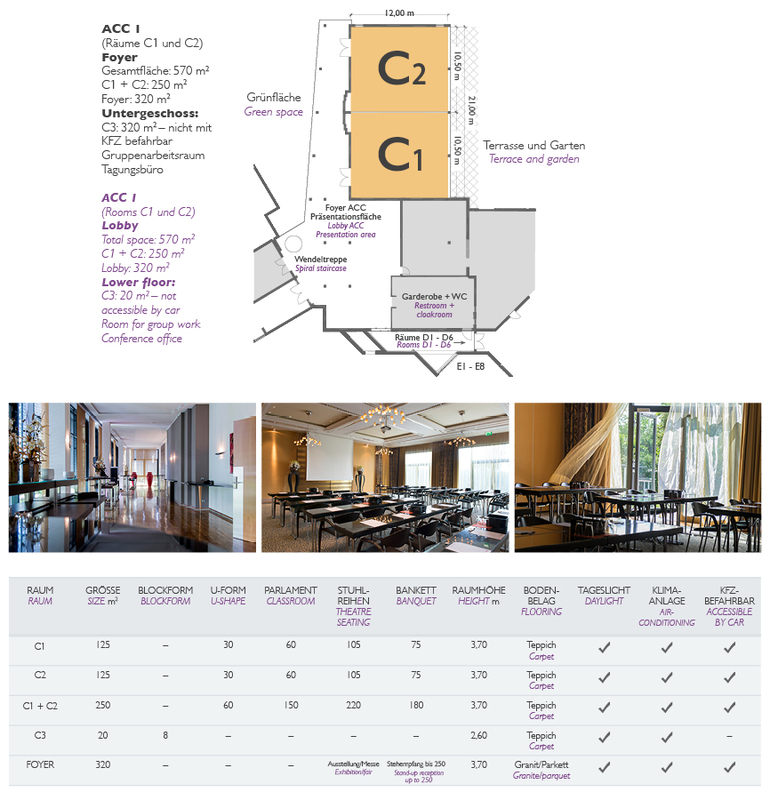 Whether at the Atrium Con­fer­ence Cen­tre (ACC) or in our new con­ven­tion cen­tre, the Atrium Con­gress Cen­tre (ACC3), you will never be dis­turbed by traf­fic noise or noise from other parts of the hotel. The larger the space, the more the spirit can open up. 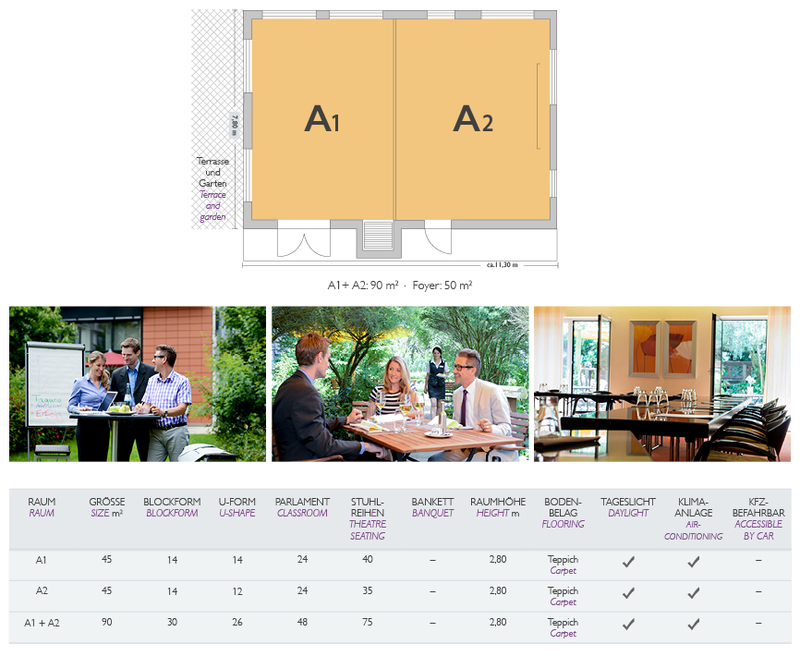 All rooms have mobile par­ti­tions which make them flex­i­ble in size and design. They are sound­proof and pro­tected, ensur­ing com­plete pri­vacy. 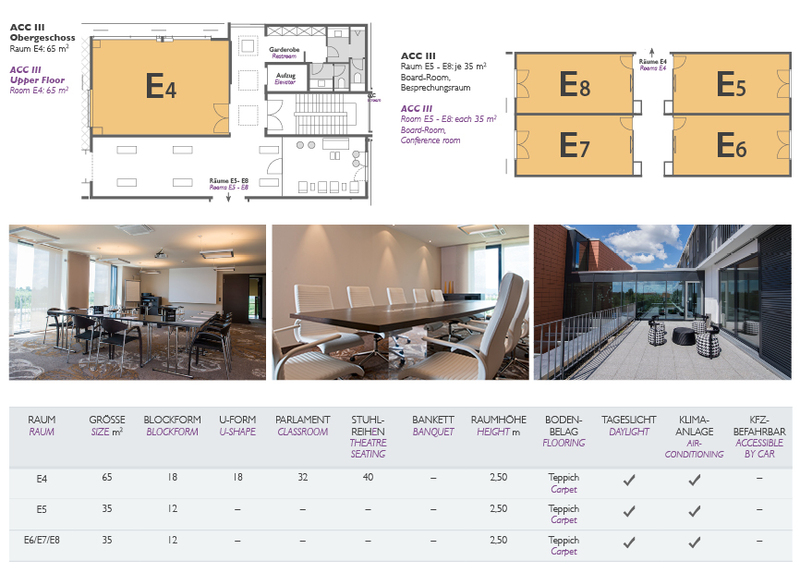 For meet­ing breaks, group work or just a breath of fresh air, the Atrium gar­den or one of our ter­races is close at hand. 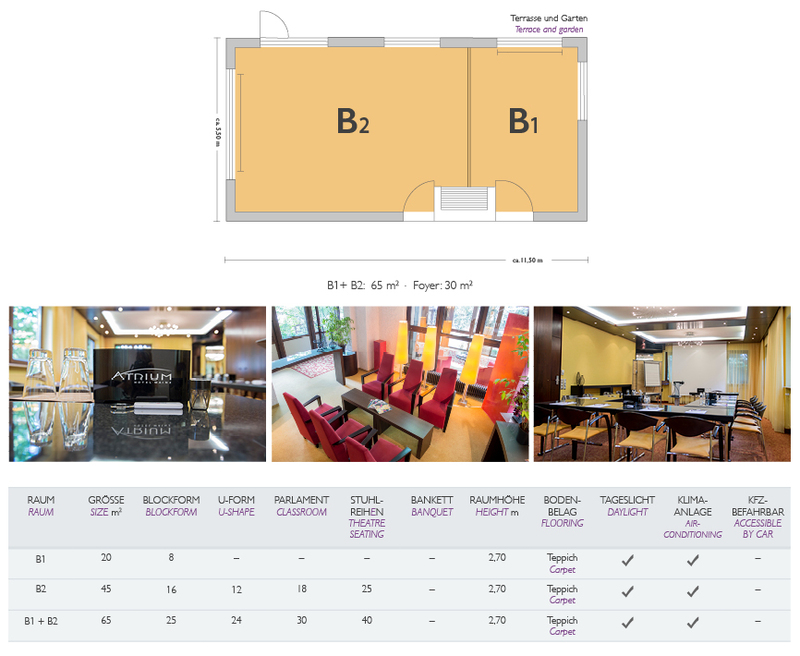 22 con­fer­ence and ban­quet­ing rooms up to 500 m2, total of approx. 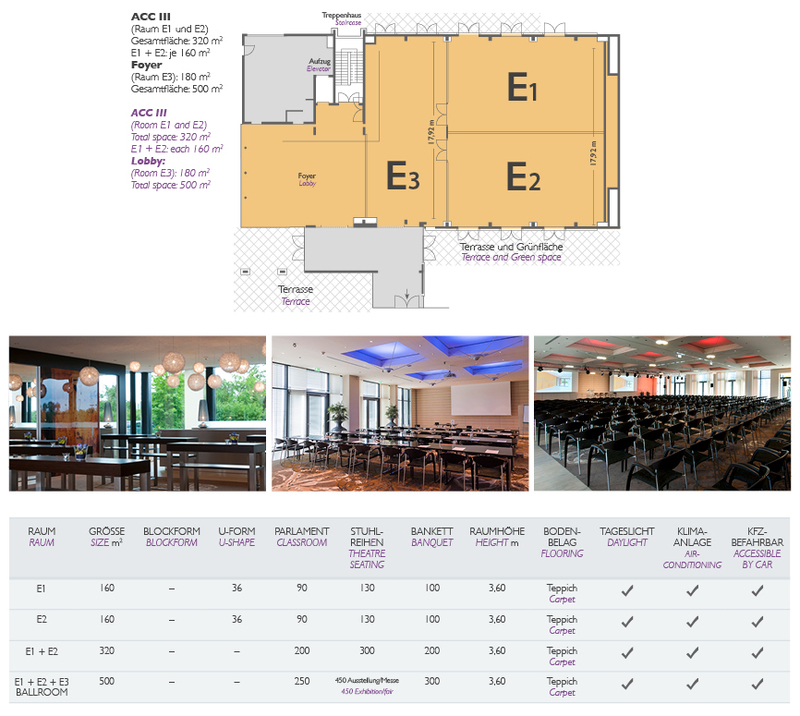 2000 m2 exhi­bi­tion and event area, 150 rooms /​ suites /​ apart­ments, 3 restau­rants, lounge, bar, well­ness world. 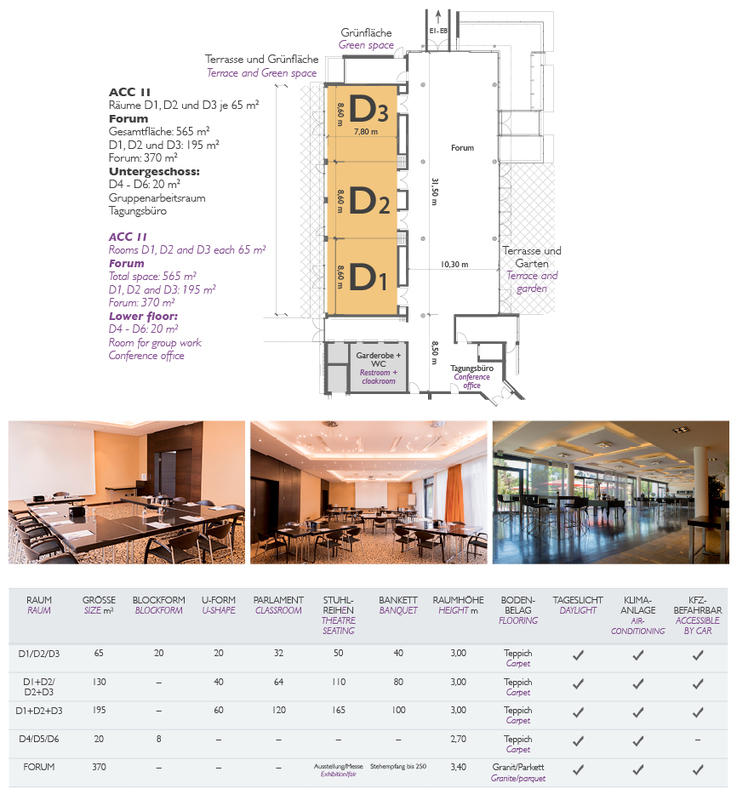 Here you can down­load our Conference-​​Guide as PDF.